In many relationships, one partner handles all of the financial arrangements. If your partner is the one who handles everything, but you want to be more involved, how can you start that conversation? You're not alone. A recent study by Fidelity Investments showed many people want to be more involved with their finances. Among women, 92% wanted to learn more about their finances, while 86% wanted to take a more active role in managing them. It's very easy to get caught in a routine with bill paying, checking and spending. The person who was doing so when you started cohabiting just continues to do so exactly the same way they always have. What's more, those conversations are really difficult to initiate. Even with close friends, 56% of survey respondents say finances are "too personal" to discuss. Of those survey respondents, 43% were willing to talk about their health issues, but only 17% would talk about investments. About half of respondents would willingly talk about the strange things their bodies are doing, but talking about where they save their money is considered "too personal." Intimate partner relationships aren't a safer space for conversations about money, either. Only 66% of respondents talk about investments or salary with their spouses or partners. In one out of every three relationships, finances are not a common topic of conversation between people who likely share a checking account! If you'd like to change that dynamic in your relationship, there are a couple of approaches you might consider. No matter what you do, make sure you're approaching this sensitive topic from a place of love. 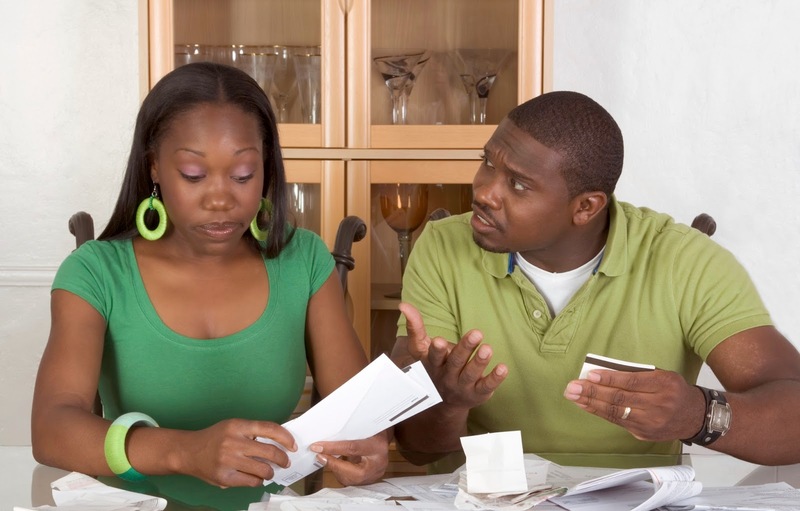 Fights over money occur when one partner feels put on the defensive about budgeting or spending. Take care and try these three techniques! If you and your partner have been trying to plan a summer getaway, save for a new car or put a down payment on a house, this can be an excellent place to start a conversation. It's best to begin on broad notes. Ask about hotel choice or means of transportation. From there, it can be easy to talk about making a budget for the occasion. Once you and your partner are talking about dollar amounts, it can spill over into a more general conversation about finance. If you ask about saving for this project, it's important to have suggestions or ideas. Come to the conversation prepared to make a small sacrifice to contribute to saving for the project or have some cost-saving strategy to make the process easier. This encourages a feeling of joint struggle as opposed to you "checking up on" or "managing" your partner. Spending is the biggest cause of fights between couples. In general, people tend to see their decisions as rational and the choices they disagree with as irrational or impulsive. In relationships, it's tempting and gratifying to think of yourself as the sensible one and your partner as the reckless one. Your partner likely feels the same way. For instance, you may enjoy a daily coffee drink while your partner might consider that to be frivolous spending because they don't know the joy and satisfaction you derive from that little indulgence. Conversely, your partner's enthusiasm for home electronics might make you see a top-of-the-line stereo system as an extravagance, while your partner sees it as a way for the two of you to spend more time together at home. The best way to avoid resentment while still keeping your spending under control is to set personal allowances for you and your partner. You can spend so much each week or month without consulting your partner. Major purchases that go over that limit require consultation. Try to avoid bringing up recent or specific purchases and focus on planning for the future rather than placing blame for the past. This will keep the conversation from feeling accusatory. Retirement planning is a difficult subject to broach. 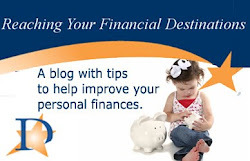 Many people don't want to do it on their own because the prospect of saving that much money is frightening. Add in the stress of talking about money in a relationship and this can be a conversation filled with dread. It doesn't have to be that way. Many couples find retirement to be a time of great relationship strength and bonding. If you and your partner didn't have to work, you could spend a lot more time together, enjoying your mutual interests and each others' company. Instead of beginning a retirement planning conversation with a dollar amount, begin it with a dream. Maybe you'd like to travel the world together and see exotic sights. Maybe you want to build furniture out of your home. Maybe you want to become active in the leadership of your church. Beginning with such dreams in mind, as opposed to how much they're going to cost, can help you and your partner better share the stress involved in saving and planning. However you broach the conversation about money, it's important to do so. Secrets about finances in a relationship can lead to stress, interfere with honest communication and produce relationship-ending fights. On the other hand, couples who talk openly and honestly about their financial situation can use that transparency to build stronger, more straightforward communication strategies about other topics. As many people have found, the couple who saves together, stays together!